Open enrollment re-opens on November 1st for plans with a January 1st, 2019 start date. It is scheduled to close in Colorado on January 15th, 2019. After open enrollment closes, people who buy their own health insurance can only shop for a new plan or change their existing plan if they have a qualifying event. Please note that you can apply up to 60 days before the qualifying event and no more than 60 days after the qualifying event (counting the day of the qualifying event as one of the 60 days), so timing is everything. Let us help you evaluate your plan options available both on and off the Connect for Health Colorado Exchange. Because there are many more people than need help than can be helped individually, I created this easy to follow video guide for Open Enrollment to help people get health insurance through the exchange, understand what cost saving programs they’re eligible for and how to avoid pitfalls. Grab a cup of coffee and watch the video. Then simply follow the video’s instructions, step by step. Mark Erickson’s Insurance License Number: 423914 – Thank you!! Please watch the video and carefully read through the information below, as the information below answers most questions. Depending on household income levels, you may be eligible for subsidies that immediately reduce your health insurance premiums. Theses Federal subsidies are Advance Premium Tax Credits. They are NOT available to people eligible for Medicaid or Medicare or who have affordable coverage available through an employer. The Advance Premium Tax Credits are based on (1) the size of your household and (2) your household’s estimated income for 2019. Other relatives who file their own tax return and are not your dependents. See IRS rules on dependent qualification. Household income includes the household income of the taxpayer & spouse, and dependents if the dependents earned enough to file a tax return. Married couples MUST file jointly in order to get an Advance Premium Tax Credit. You will be required to provide an attestation of your expected household income in 2019, which is verified by the exchange with documentation from your most recent tax return, with consideration of reasonable changes. DO Include: Wages, Salaries & Tips, Income from self-employment or business, Unemployment compensation, Alimony, Social Security payments, including disability payments, Income from investments, retirement, pensions & rental income, Other taxable income such as prizes, awards, and gambling winnings. DON’T Include: Child support, Gifts, Supplemental Security Income (SSI), Veterans’ disability payments, Workers’ compensation. Keep in mind that federal subsidies are Advance Premium Tax Credits based upon your household’s Modified Adjusted Gross Income. The tax credits will be reconciled when you file your 2019 federal income taxes, so try to be as accurate as possible. Significant mid-year changes in income should be reported to the exchange’s customer service department. Using the chart below of the 2019 Federal Poverty Levels, depending on the number of people in your household from Step 1 and the estimated household income from Step 2, if the number falls between 138% and 400% of the Federal Poverty Level, you should be eligible for an Advance Premium Tax Credit. Advance Premium Tax Credits are available to people with household Modified Adjusted Gross Income between 138% and 400% of federal poverty level. Tip: You can estimate your tax credit with the Subsidy Calculator tool. Take note that the higher your income, the lower your tax credit will be. If your monthly income is below 138%, you should be eligible for Health First Colorado (also known as Medicaid). If you make over 400%, you’re not eligible for an Advance Premium Tax Credit. Advance Premium Tax Credits are not available to people eligible for Health First Colorado (Medicaid) or Medicare or who have affordable coverage through an employer. Connect for Health Colorado is Colorado’s health insurance exchange and it is the only place you can get an Advance Premium Tax Credit to reduce the cost of your health insurance. However, you can still get health insurance through the exchange, even if you don’t qualify for or want to apply for the Advance Premium Tax Credit. First, go to Connect for Health Colorado and Create an Account or Login if you already have an account. 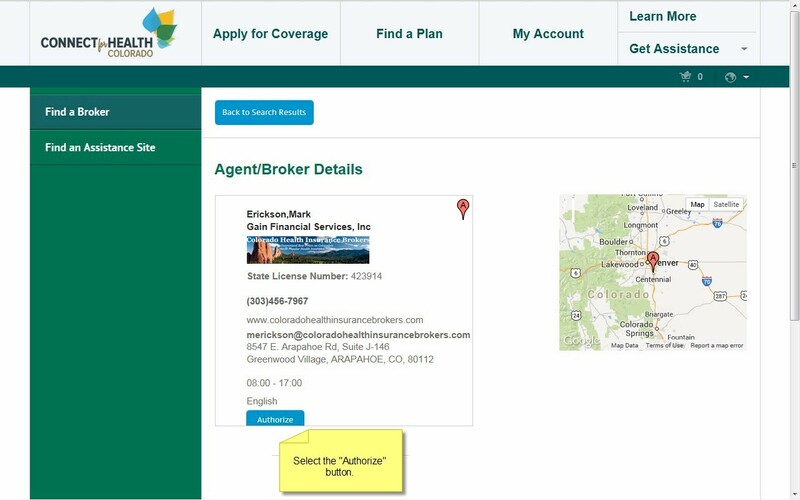 Next, authorize me as your Agent at Connect for Health Colorado. This only takes seconds and is required before I can help you with your new insurance plan, answer questions and service your account going forward. There is no charge or extra cost for my services. I am paid a small commission by the insurance companies which helps us keep the lights on and provide resources like this to serve the community. Click on Mark Erickson’s name. Path 1) Obtaining Advance Premium Tax Credits: In order to get an Advance Premium Tax Credit, you must first apply for Medicaid using the PEAK system and be denied. After you are denied, the PEAK system will provide you a denial code. It typically takes anywhere from an instant response to 2 weeks to get your Medicaid denial code from the PEAK system. You can call 800-359-1991 or 800-221-3943 between 8:00 a.m. and 6:00 p.m. Monday-Friday to check the status of your Medicaid application. You’ll need to provide your Application Tracking Number, which was provided on the final screen of the PEAK system’s online application. 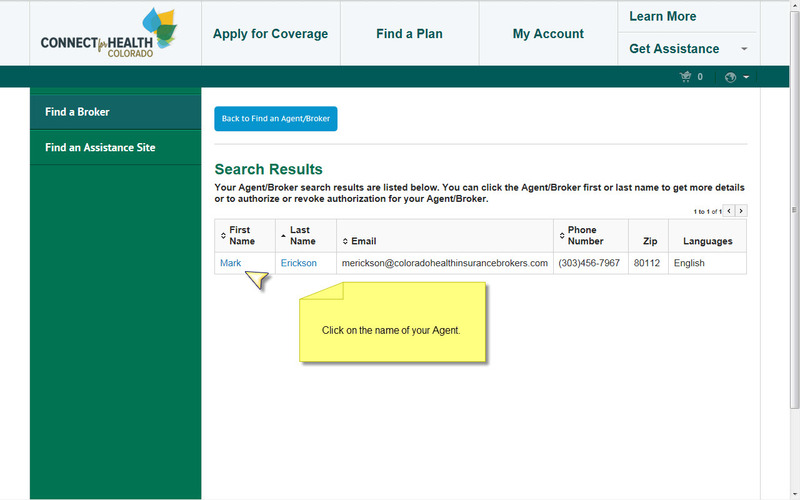 After getting your Medicaid denial code (7-digit number that starts with 1B) from PEAK, then log into Connect for Health Colorado, click the blue “Eligibility” button, enter the denial code and complete your application for the Advance Premium Tax Credit. This takes about 20 minutes and once that is done then you will be able to browse plans and see the final premiums, for all plans offered, less the Advance Premium Tax Credits you qualified for. Then it’s a simple matter of adding the chosen plan to your shopping cart, checking out and paying the initial month’s premium. Money Saving Reminder – If your household income is between 138% and 250% of the Federal Poverty Level be sure to check the Silver plans, as they may have very attractive cost sharing reductions like lower deductibles and out of pocket maximums. You’ll only find these on the Silver plans. Cha Ching! Path 2) No Advance Premium Tax Credit: If your income is above 400% of the Federal Poverty Guidelines, if you are eligible for Medicare, if you have affordable coverage available through your or a spouse’s employer, if you do not want to go onto Medicaid, or if you want to wait to see if you’re eligible for a tax credit when filing your 2018 taxes, you have an option at Connect for Health Colorado’s website to skip determining eligibility for premium assistance. Then it’s simply a manner of browsing the plans, adding the chosen plan to your shopping cart, filling out a brief application, checking out and paying the initial month’s premium. Slicing Through the Red Tape – Some people prefer to skip the exchange’s financial disclosure requirements to get an Advance Premium Tax Credit and instead get the tax credit when filing their 2019 federal income taxes. The tax credit is then provided as an increased refund or reduction in taxes owed. This can be a safe choice for people whose income fluctuates during the year or just want to avoid red tape. However, you still must apply through the exchange to get the tax credit! Just skip the Medicaid application and Advance Premium Tax Credit applications. 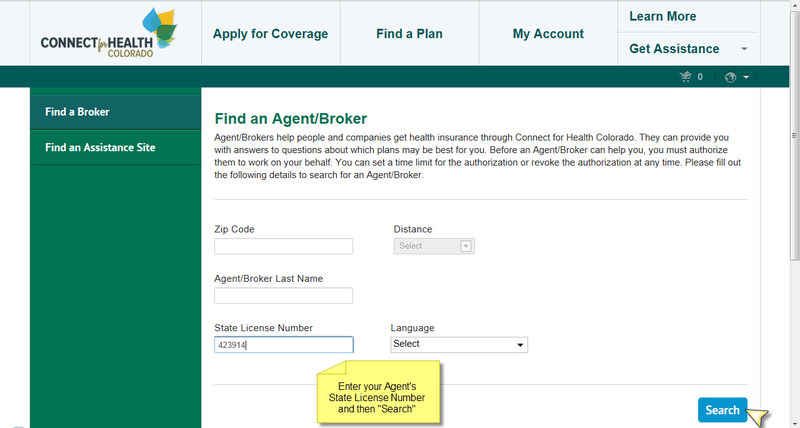 Path 3) Getting Medicaid or CHP+ Coverage: Simply apply for Medicaid using the PEAK system. 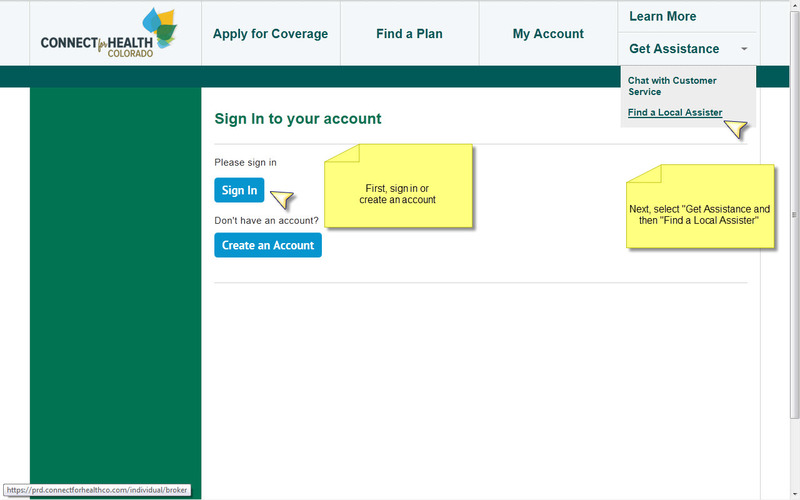 You will be notified if you are eligible for Medicaid or CHP+. If you have been determined eligible for Medicaid your application data will be transferred to the State of Colorado and will then be handled according to state policies. For questions about Medicaid or CHP+ or to appeal their decisions call them at 800-359-1991 between 8am and 6pm Monday-Friday. #1 Question About Medicaid – What if I qualify and don’t want it? 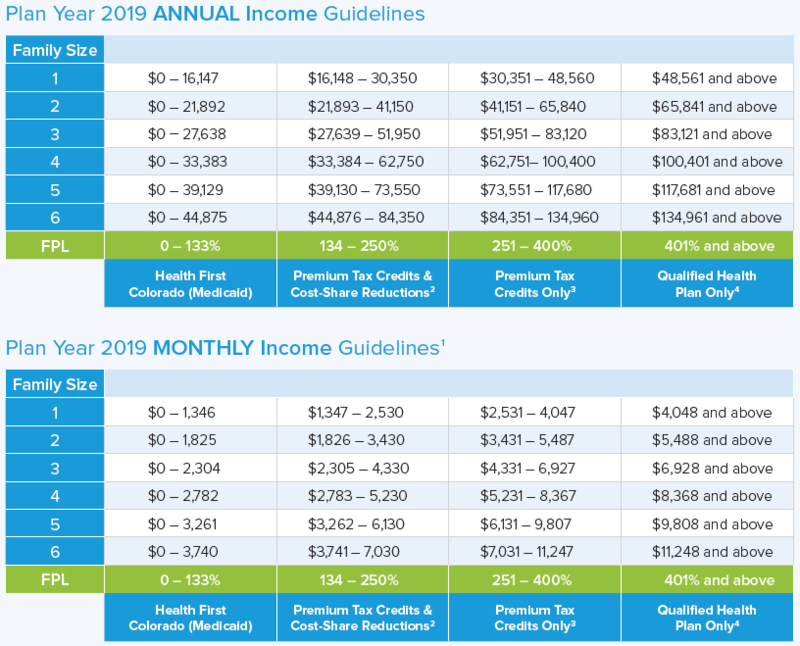 If you are eligible for Medicaid, you can still apply for private insurance plans through Connect for Health Colorado, but you will be ineligible for the federal Advance Premium Tax Credit.